I am now regularly getting up at 5.30 am and making it to the MIG club lawns by 6.15 am. There are 3 doctors and 1 professional trainer in the group. We start with stretching exercises. Then comes the jogging part. I learn that 10 rounds is equal to 4 kms. Many do 20 rounds in about 30 minutes. I do about 2 then start walking. Sundays is Juhu day. The stretch from Khar Danda to Versova end ( godrej bungalow and beyond ) is 10 kms. there are folks who do about 4 laps. 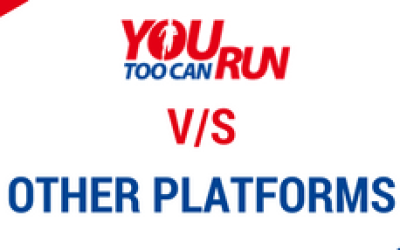 I do a shorter run /walk/ run covering about 7 kms. My realistic goal is to walk / run / walk the 7 kms on that final day. Stretching is part of the end. Even the stretching makes me realise that there are muscles in my body that I never knew existed. Every night I sleep very well. Very well. 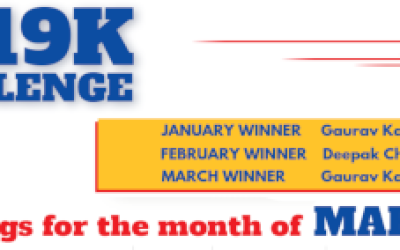 As part of the motivation program, every day one person gets a small health snippet. I learn many things about running a marathon including the subject matter on hand. 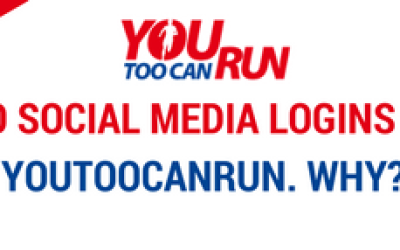 No Social Media Logins at YouTooCanRun. Why?